LOS ANGELES -- A Santa Fe Springs man and his daughter could be deported if found guilty of setting up fake marriages for green cards. A three-year undercover investigation found Chinese clients paid up to $50,000 each for sham "green card" marriages. 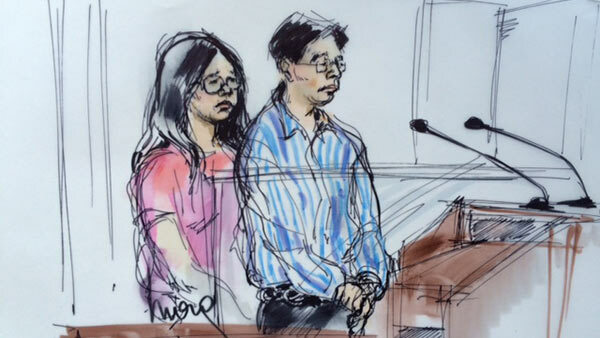 Jason Shiao, and his daughter, Lynn Leung of Pasadena, appeared in court in Downtown Los Angeles Wednesday to determine bond. Shiao, 65, was released on $200,000 bond, and Leung, 43, was released on $40,000 bond. They are both subject to electronic monitoring while on release. Authorities say they ran a marriage fraud scheme dating back to 2006. The affidavit states Shiao and Leung coached the couples on how to make the marriages appear genuine and created fraudulent paper trails including phony apartment leases, wedding photos, bank statements and income tax returns. An allegedly phony wedding photo was released by the United States Attorney's Office. An American man was told he could make $18,000 for marrying a Chinese woman who needed a green card, so he agreed to get hitched at a California wedding studio and then took an all-expenses-paid trip to Las Vegas where he posed in photos with his new wife. But the man was gay and vacationing with his boyfriend, while the woman already had a husband. Until he revealed his sexual orientation to an immigration officer during a green card interview, both couples had been caught up in the elaborate marriage fraud scheme. Shiao and Leung's Pasadena-based business filed more than 70 fraudulent immigration petitions since October 2006, authorities said. It advertised in Chinese-language newspapers in California. Authorities are looking for Shannon Mendoza, 48, who they say recruited U.S. citizens willing to marry for $10,000. 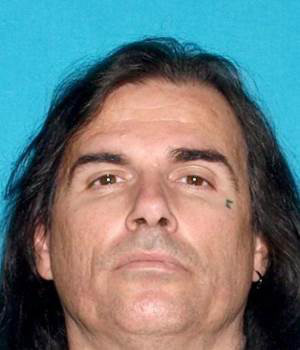 Shannon Mendoza, 48, is seen in this photo released by the United States Attorney's Office. A preliminary hearing has been set for Sept. 30, and an arraignment hearing has been scheduled for Oct. 6. Claude Arnold, special agent in charge of ICE's homeland security investigations in Los Angeles, said marriage fraud has been rampant for more than two decades but is frequently downplayed and even romanticized on television and in movies such as "Green Card." "It is glamorized in Hollywood movies as you are helping someone out," Arnold said. "The people who are facilitating this - they're not in it to help someone out. They're not a charitable organization. They're just trying to line their pockets."